"There are many practitioners in the legal industry, and I know as a member of the legal profession, the best way in which I can differentiate myself from my peers is through the high quality of my representation and the level of service which I offer to my clients. My philosophy is that I am here for my clients and it should not be the other way around. I strive to service my clients in the most professional and efficient manner from both a time and cost perspective, while ultimately achieving the desired end result. A successful attorney/client relationship is one of trust, hard work, communication, service and accomplishment. By establishing long term relationships with my clients and with the community through civic involvement, I am able to give back to each individual and the community as a whole." Julie is a multi-faceted business lawyer with experience in all aspects of corporate, business, real estate and general legal matters. 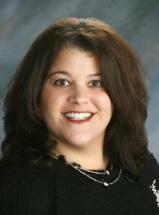 Her additional specialties include: Probate, Estate Planning, Family, Commercial and Civil Litigation. Certified Mediator, Dispute Resolution Services, Inc.
Women's Business Owner's Alliance of the Pioneer Valley, Inc. Member : Women's Business Owner's Alliance of the Pioneer Valley, Inc.